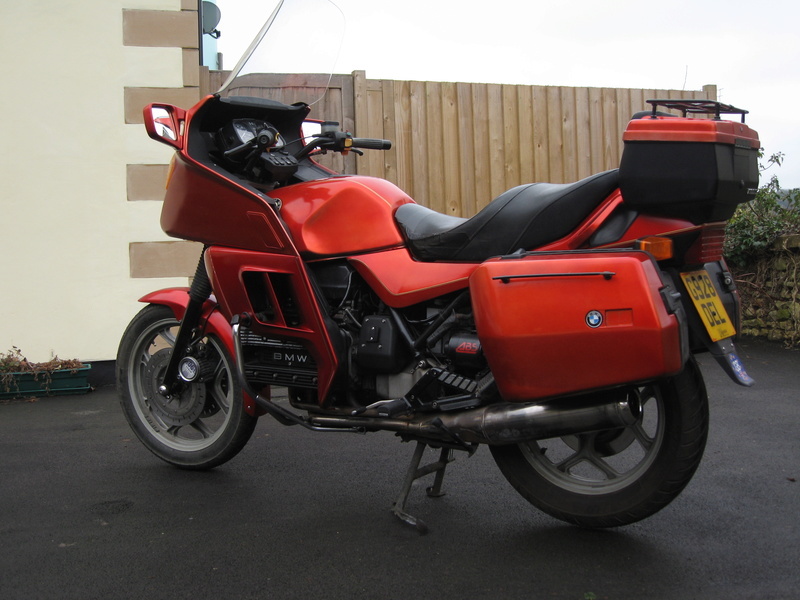 I am trying to find the colour of my 1987 K100RT. I have seen a post where someone was able to enter the VIN number in a computer programme and up it came, but I am getting no reply from him so maybe he's moved on. Mine is a dark grey colour and I see there are 3 different greys that year. How can I get the colour and where can I get some paint - even a touch up pen would help. once you find the colour code ...head off to one of the better auto paint suppliers ...my local supplier makes me up a presure pack of acrylic for about $25 with the right bmw code . often there is a code under the seat ,(sticker on the fiberglass ducktail )...that is a theme colour ....this is important ..you can find the theme and the lookup table tells you what the colours were ex factory . try using the "search" feature in here to find all the posts related . i have seen the right link to the paint identification a few times and is on my home pc ... about 2500 k away . @renriv wrote: I am trying to find the colour of my 1987 K100RT. I have seen a post where someone was able to enter the VIN number in a computer programme and up it came, but I am getting no reply from him so maybe he's moved on. Mine is a dark grey colour and I see there are 3 different greys that year. How can I get the colour and where can I get some paint - even a touch up pen would help. Thanks for that. I had better check and see if my spam filter removed your email as I haven't seen it. @charlie99 wrote: once you find the colour code ...head off to one of the better auto paint suppliers ...my local supplier makes me up a presure pack of acrylic for about $25 with the right bmw code . I'm after some paint for my 1986 K100RT to redo the mirrors. Colour under the seat says 575 (red metallic), but another post tells me the colour code is 031. Charlie, can I please have the name of the auto paint shop you use. Anybody else in Brisbane have any recommendations? Always the way. Please let me know if you find an alternative. Just searched and they are still there in Moss St. I also just rang them about paint for my bike. Was told its a "Candy" colour, meaning pretty expensive & difficult to do, metallic base and normal base etc. 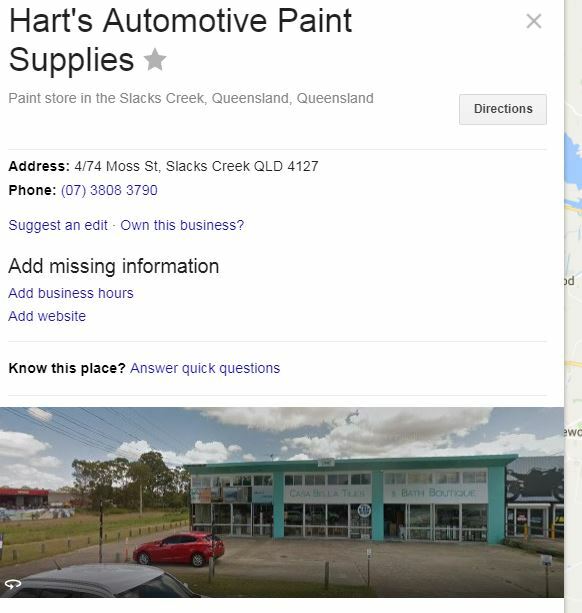 Queensland paint supplies in Dollis St Rocklea is where I get mine done. Anyone have experience spraying the 2 x base coat "Candy" colours such as 575 Metallic Red? Done a couple of that sort no big deal as usual it's all preparation. It is more expensive than Acrylic. Rick, do they sell the paint to you in a spray can, or in a tin? From what I've researched from online bike paint shops in the the USA and U.K., the spray cans seem a cheaper way to go, but I think I could do a better job with my own spray equipment. @michaelvass wrote: Anyone have experience spraying the 2 x base coat "Candy" colours such as 575 Metallic Red? @michaelvass wrote: Rick, do they sell the paint to you in a spray can, or in a tin? From what I've researched from online bike paint shops in the the USA and U.K., the spray cans seem a cheaper way to go, but I think I could do a better job with my own spray equipment. I did a respray on my first K100 in Candy Red and used spray cans. I got my paints from the RS paint guys (they serve UK, Europe and USA...but, unhelpfully, I don't think they do Australia). The base coat is dead easy to apply on top of the primer...and as Rick says, good preparation is key to success. However, I found that I used one heck of a lot more of the coloured coat (as a fairly rookie painter) than I had expected due to difficulties getting a consistent colour on different panels. Underspray and it looks too light and patchy, over spray slightly and the you get a much deeper hue. Spray cans nozzles will never give the same quality of application as a professional quality spray gun and it's always that "near the end of the can splutter" that spoils the finish (especially with a candy paint where the splatter shows up as darker spots). I remember having to go back to RS paints at least once for a re-order before I was satisfied with the finish. Even then, there was still a discernible shade difference between the main fairing and some of the smaller panels. Some of the minor variations kind of disappeared once the coats of lacquer were applied and the whole thing went nice and glossy. A workmate of mine (who claims to be a bit of an expert - he doesn't ride a K, so take that with a pinch of the proverbial), reckons that you need a lot less paint if you buy it in a tin rather than a spray can. I have yet to venture down the spray gun route, so can't really comment on that. However, if you look at the price difference e.g. Candy red 400ml rattle can for £19 versus £52.50 for a 500ml tin (or £16,50 vs £32.50 for the base coat 400ml rattle can and 500ml tin respectively), I guess there must be some truth behind his opinion. Having recently done a respray in a one coat grey - using rattle cans, it was considerably easier (and cheaper) than using a two coat Candy colour. If you've already got a decent spray gun though, I would definitely opt for getting tins of paint rather than a load of rattle cans. Honestly - you can't beat a good spraygun but you get what you pay for. I've promised myself either another DeVilbiss JGA or an Iwata 200ml overhand gun this year, but that means completely re-arranging the air lines in the garage. I haven't done any serious spray painting for years, but if it needs doing, I want the proper tools to do it with. Also, you always get through a sh!tload of thinners when cleaning the gun, so if you buy a gun, buy twice as much thinners as you think you need. Then double the quantity. Anybody able to help me colour match 643. Supercheap auto do car auto-matching but don't have the codes for the bikes. Check out for anybody that has PPG tinting and colour matching (previously Duco). They should have the info you need.